Why did I choose mental health? My decision to become a psychologist began with my love for fashion design. I know, I know…the two don’t seem to go together. Well, as long as I can remember I wanted to pursue a career in the fashion industry. Since I stopped growing at 5’4” tall at 10 years old, my dream of becoming a model was ended quite early on. “If I can’t model, I can surely design.” I always had a knack for needle and thread so this made sense. Most of my doodling during my middle school years were sketches of dresses, blouses, bathing suits, skirts. At this point you are probably thinking, “Well why did you shift to psychology?” The answer is simple: Princeton University. The only thing I wanted more than going into the fashion industry was to go to Princeton University…and Princeton did not have anything remotely close to a fashion design major. Becoming a psychologist was third on my list of career choices behind being a model and a fashion designer. Why did I continue on with mental health as a career? Many people choose a career as a child but then abandon that dream at some point in their process of maturity. This goal of becoming a psychologist was rooted in genuine intrigue and fascination with human behavior. I have always been interested in social studies (the study of human cultures and societies) and science (the study of the world through experimentation). Psychology is defined by Merriam-Webster as “1: the science of mind and behavior; 2a: the mental or behavioral characteristics of an individual or group; 2b: the study of mind and behavior in relation to a particular field of knowledge or activity.” In this way, psychology is the perfect blending of the studies of science and human society. Not to mention I’ve always been interested in interpersonal interactions. As a child I was always listening to adult conversations and marveling at the ways in which people told stories and reacted to those stories. I was eager to know about how people handled different situations in their lives. Also, I was the one in my friend group that everyone would talk to about the problems in their lives…and about 90 percent of the time my advice was well received. Hey, nobody’s perfect. Why did mental health advocacy become my passion? My parents immigrated to the United States from Haiti so I am a first generation American. As is the case with many Caribbean cultures the expectation in Haitian families is that children will grow up to become one of three types professionals: a lawyer, an engineer, or a medical doctor. Psychology tends to be frowned upon as a profession. I never understood why this was, but this experience in part led me to want to help others become more aware of the benefits of psychotherapy. Then in college I had my first experience working in the psychology field, as a behavioral therapist for children with Autism Spectrum Disorder (ASD). Our interventions led to positive changes for the children including skill acquisition, increased interaction with others, and decrease in behavior problems (like tantrums). Being a part of a team of individuals who worked with children diagnosed with ASD solidified in my mind that mental health treatment and advocacy was what I would be devoting my professional life to. 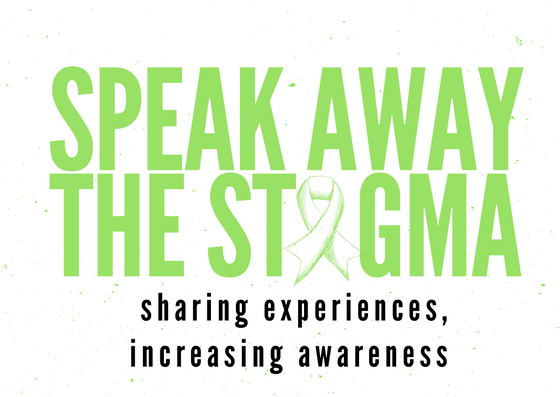 Almost 20 years after my first experience working in the psychology field, it is evident there continues to be much stigma both in the United States and internationally that surrounds mental health despite the obvious positive outcomes for pursuing such services. I feel compelled to be one of those voices advocating for the benefits of mental health services. Why didn’t you major in psychology at Princeton and then attend a fashion school for an advanced degree? Twelve-year-old me did not realize this was an option at the time. Quite frankly, I’m glad that I didn’t. Mental health advocacy is my life’s work. But yes, I do draw sketches every now and again. Pingback: #Blogtober17: “All About You” – Cindy T. Graham, Ph.D.